Perfect getaway in the middle of the city centre! 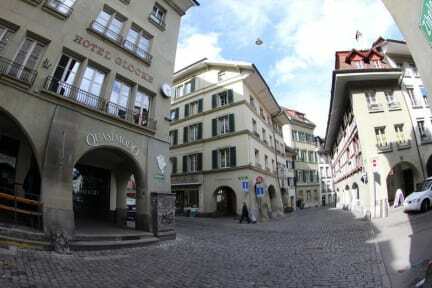 The place is right in the old town of Bern, walking distance from the main station. We were welcomed by kind staff and the room was fine. Rooms are a bit small but nice and clean. The common area and kitchen are very OK and well equipped. There is also a laundry room. A good choice for your stay in Bern! 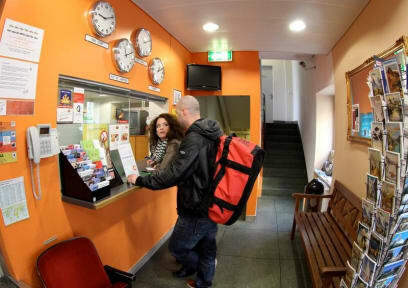 This hostel felt really empty, all the people in the common room were a lot older then me, there wasn't much social contact going on. The rooms are neat, clean and plain. The location is amazing, right in the center of the old city. Kitchen is easy in use! NB) it's a pity that there is no possibility for having breakfast; I haven't read it in the emails over bernbackpackers. NB) furthermore there is a good "breakfastcompensation" around the corner with the possibility of a good bakery-facility !